id Software has decided to make Rage, the first person shooter that launched late last year, free for a limited time. The decision was made following an agreement by id Software and gaming enthusiasts. 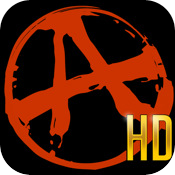 If theofficial ‘Rage’ Facebookpage reached 100,000 Facebook fans, both Rage and Rage HD would be made free for a week. Everyone likes free games, don’t they? Apparently so. The page’s Likes quickly mounted up until the goal was met yesterday. Until August 25, any iPhone or iPad owner can download the game free of charge. Rage, a fast paced shooter, was designed to give gamers an early glimpse into the post apocalyptic world of Rage. The full retail release of Rage on the Xbox 360 and PlayStation 3 will be available worldwide this October.